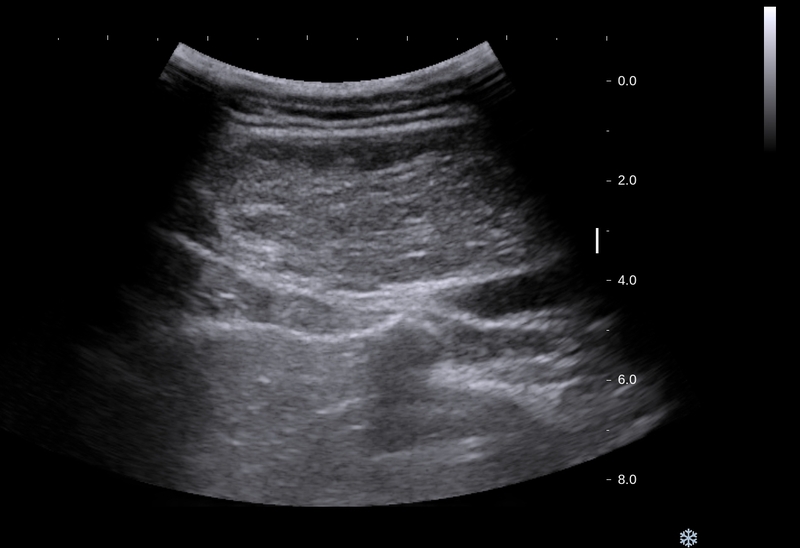 VIETNAMESE MEDIC ULTRASOUND: CASE 339: INTRAMUSCULAR TUMOR, Dr PHAN THANH HẢI, MEDIC MEDICAL CENTER, HCMC, VIETNAM. 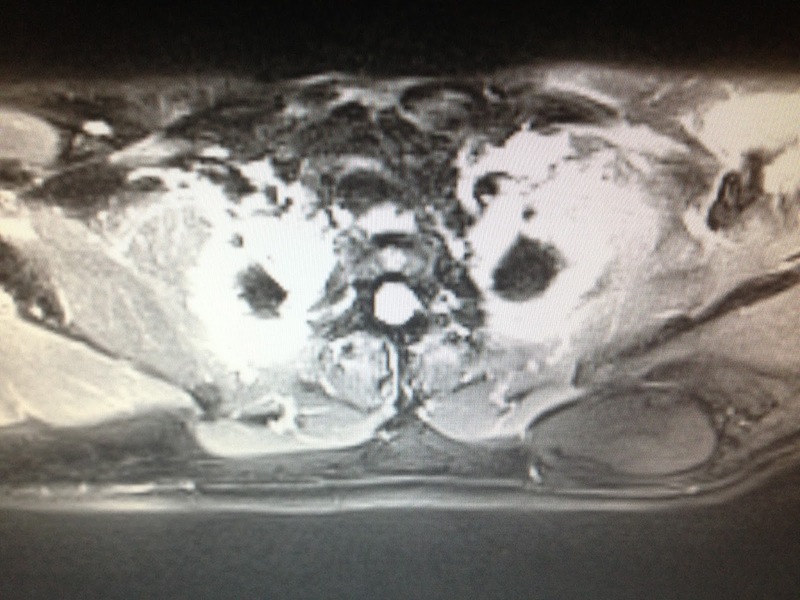 CASE 339: INTRAMUSCULAR TUMOR, Dr PHAN THANH HẢI, MEDIC MEDICAL CENTER, HCMC, VIETNAM. 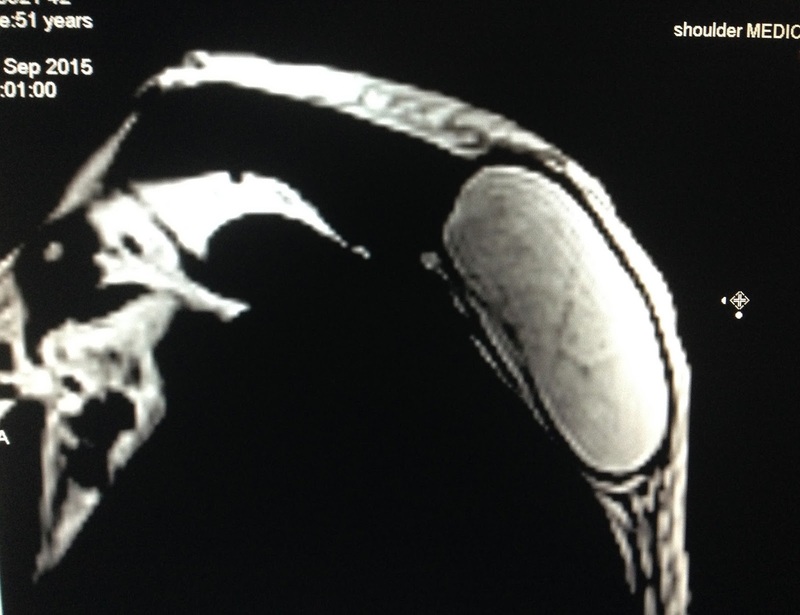 Man 51 yo detected himself swollen at left scapula region, no pain for 2 years (photo). 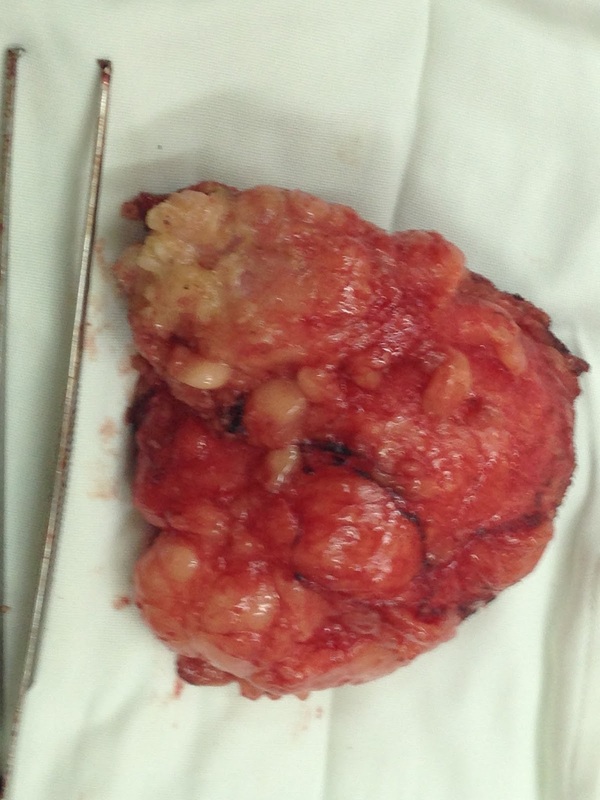 The tumor was underskin and ovoid shape. 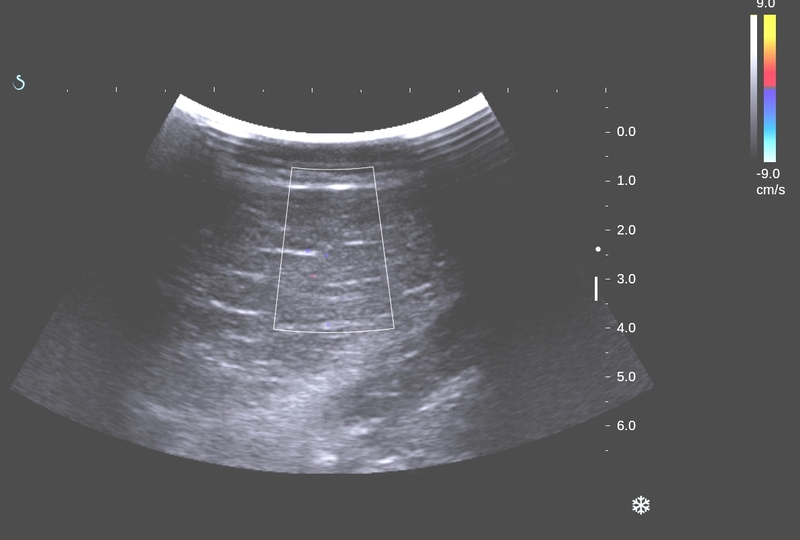 Ultrasound of this mass was localized in trapezius muscle, well bordered, size of 10cm. CDI no abnormal blood flow. 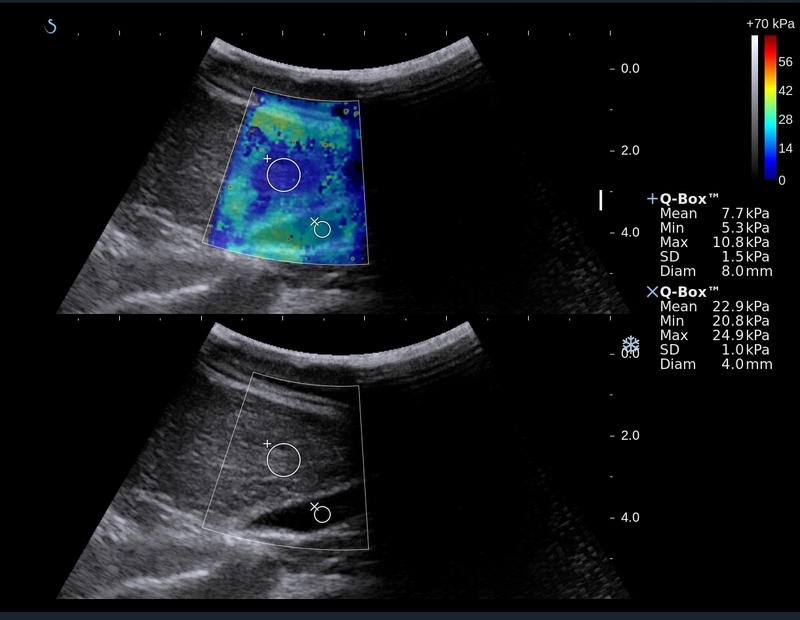 Elasto scan was slow kPa (7.7kPa) in comparison to muscle 22.9 kPa. 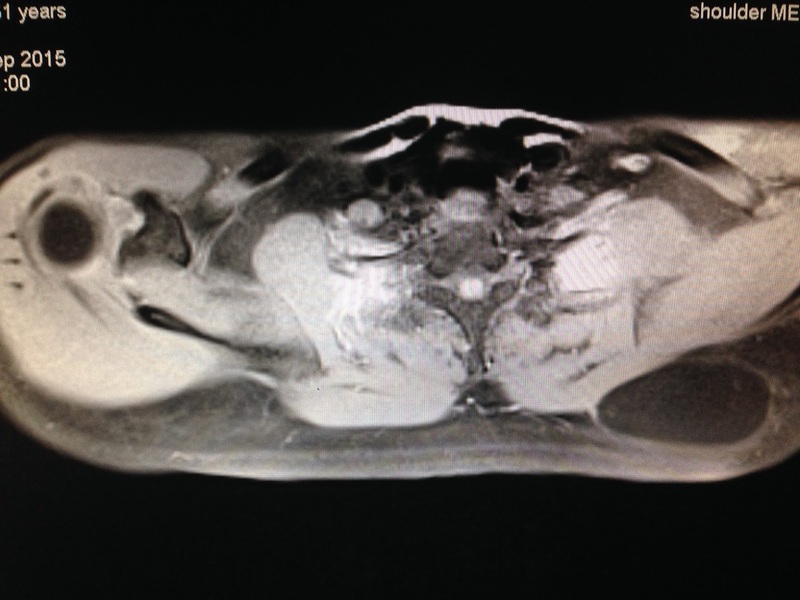 MRI scan= MRI 1,tumor well bordered with density as fatty tissue, MRI 2, MRI 3). Operation was done for removing of the tumor. 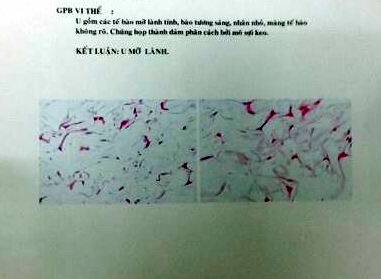 Microscopic report of this tumor is LIPOMA.